Not everything in the south is fried! 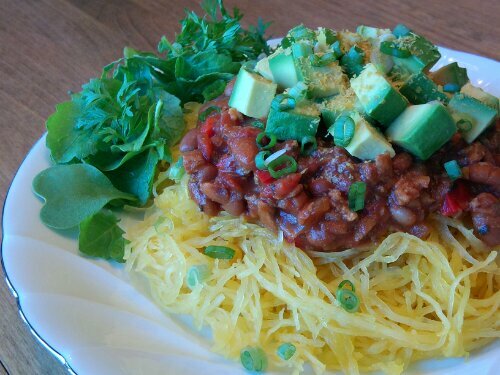 A Happy Herbivore meal plan favorite. Get Meal Plans! I'm a reader, a food lover, a crazy cat lady, an animal lover, local shopper and local music supporter. You can find me in East Nashville most of the time, shopping, having a drink at a locally owned bar, or eating food at a local restaurant. I like cumin and smoked paprika way more than I should, winter squashes make me happy, and while I do like most fruits, I only *love* berries and mangoes. I'd rather have salty snacks than sweets, and the darker chocolate is, the better. I still think Earth Balance is the best fake butter, Vegenaise is the best vegan mayo, and Almond Milk tastes better than soy milk. Chia seeds are my favorite egg substitute for the most part, and pumpkin tends to bind better than applesauce-especially in chocolate goods. I know a lot about food and nutrition, but that doesn't mean I'm the healthiest person. I tend to avoid eating out because I know I can make food that tastes better at home. Wick-It The Instigator. Free, Amazing Music!